Increasing reliance on the eCommerce channel has led to today’s consumer brands having lesser control over the way their brand is perceived by consumers online. Lack of standardization and compliance in how products are represented can lead to brand erosion. 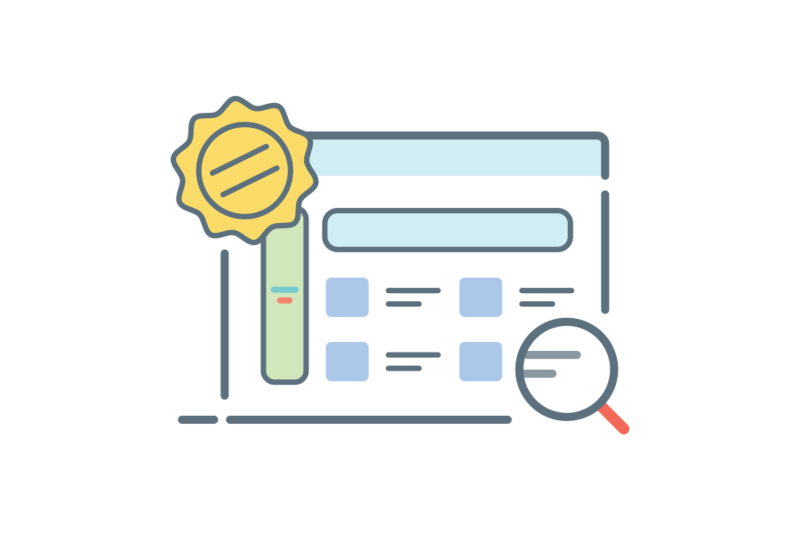 Our Brand Governance solution enables you to cut down on minimum advertised price (MAP) violations, identify unauthorized online merchants, and alert you to subpar representations of your products on eCommerce websites. 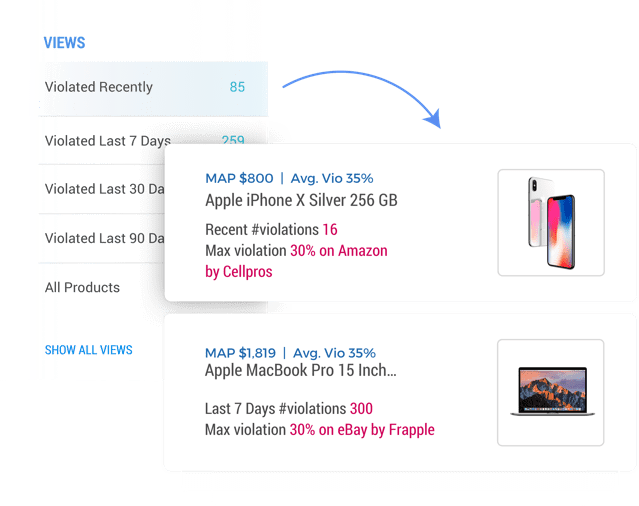 Gain in-depth insights on MAP violations in your product portfolio, including the magnitude and frequency of violations across categories and product-types. 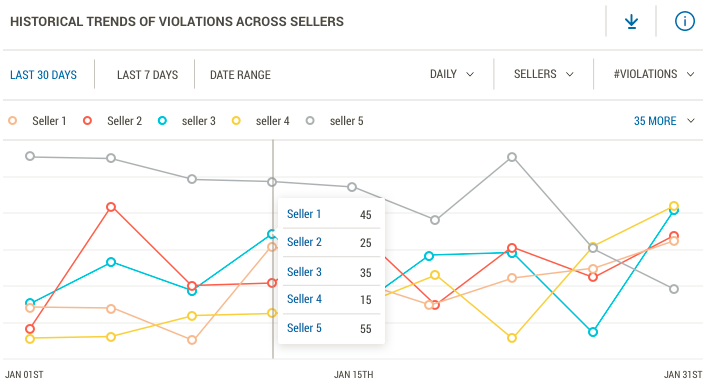 Analyze historical MAP violation trends to discover patterns, and anticipate violations by defaulting online merchants. Track and police online merchants who violate MAP policies most frequently. Monitor your online ecosystem to spot unauthorized merchants selling your products. 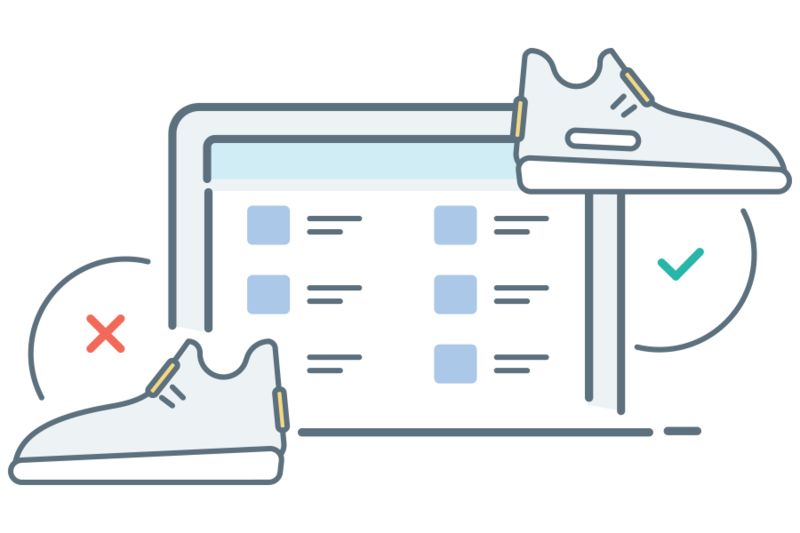 Identify popular merchants selling your competitors’ products to build new partnerships. Spot fake and white-labeled products of your brand being sold on eCommerce websites, as well as instances of image theft. Identify merchants consistently selling counterfeit products online and take corrective measures. Ensure all online catalog hygiene factors are in place, including appropriate product titles, descriptions, and images. Improve your online discoverability and conversion quality with well targeted product descriptions and images for your online catalog of products. Keep up with the latest online visual merchandising trends by tracking and analyzing your competing brands’ online catalog. Up to 30% of products are often priced below the MAP. *Looking for career opportunities instead? Click here! Harnessing noisy and unstructured data from the web to generate meaningful insights is hard. But we cracked the code!